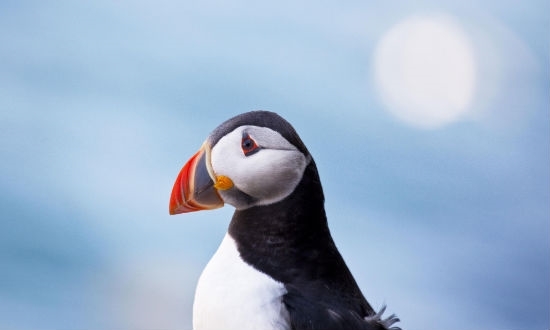 The RSPB Scotland nature reserve of Copinsay has a vast seabird colony that includes guillemots, kittiwakes, puffins and razorbills. The reserve consists of the uninhabited main island of Copinsay, three smaller islets of Corn Holm, Ward Holm, Black Holm and the Horse of Copinsay. More than 1,000 pairs of fulmars nest on Copinsay, which has nearly a mile of vertical cliffs up to 76 m high. 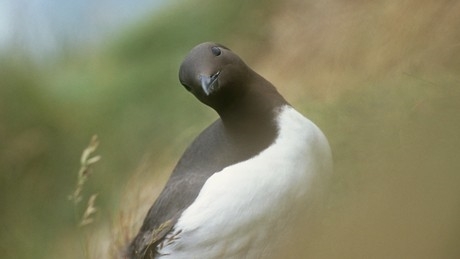 The cliffs also attract around 20,000 guillemots, 600 razorbills, 700 puffins and about 1,000 pairs of kittiwakes. Black guillemots and shags also nest here and there are great black-backed gull colonies. In autumn, a colony of around 2,000 grey seals comes ashore to pup. Copinsay was bought as a memorial to the naturalist James Fisher. This site is one of several that due to its size, location and/or conservation sensitivity is not capable of accommodating large numbers of visitors. If you require further information, please use the contact details provided. This does not affect any statutory rights of access under the Scottish Outdoor Access code.